On Sunday, February 17th, at 7pm at the Emerson Center, The Bozeman Doc Series presents the Montana premiere of the award-winning new documentary The Ancient Woods. Filmed in one of the last remaining patches of old growth forest in Lithuania, The Ancient Woods brings the forest to vivid life. A poetic and atypical nature film, shot over the course of four years by biologist-turned-filmmaker Mindaugas Survila, The Ancient Woods takes its viewers on a timeless journey – from the forest thickets to the wolves’ caves, from the black stork’s nest high in the treetops to the depths of the river and the underwater forest. Gorgeous cinematography combines with award-winning sound design to create an immersive chronicle of the life of a forest filled with drama, humor and truly magical moments. The simple daily routines of the forest’s inhabitants become a window into the eternal struggle for survival in this extraordinary testament to the beauty and wonder of the natural world. 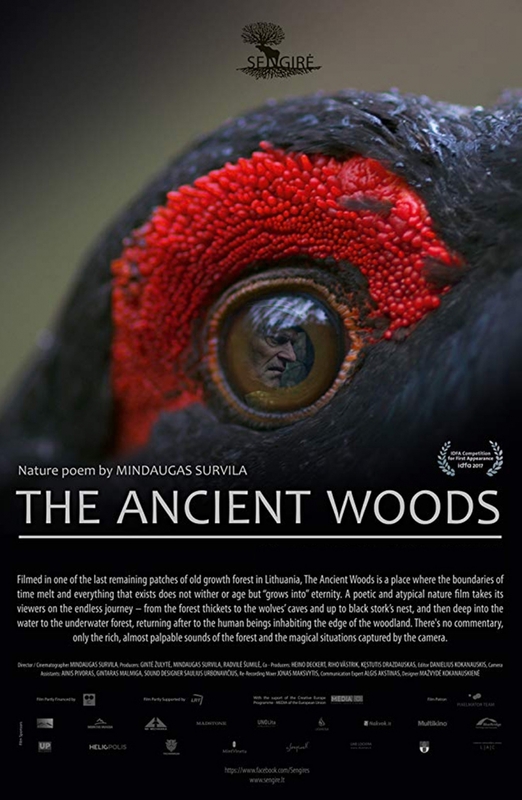 The Ancient Woods world premiered at the prestigious International Documentary Film Festival Amsterdam, and has gone on to screen at major festivals around the world, winning several awards. In Lithuania, the film was one of the most popular films in theaters in 2018, becoming the most successful documentary in the country’s history. Doors open at 6:30pm.Tickets are available at the door or before the show at Cactus Records and Movie Lovers. Tickets are also available online at www.bozemandocseries.org, where you can also buy Season Passes and 7-film punch cards, learn more about the series, and view trailers for upcoming films. The series will continue with one screening every other week through April.